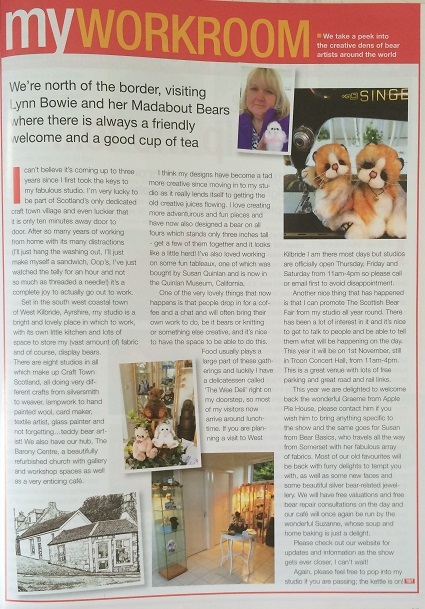 I also sell my bears at http://madaboutbears.bearpile.com/, please feel free to follow me on there to get updates when something new is posted. 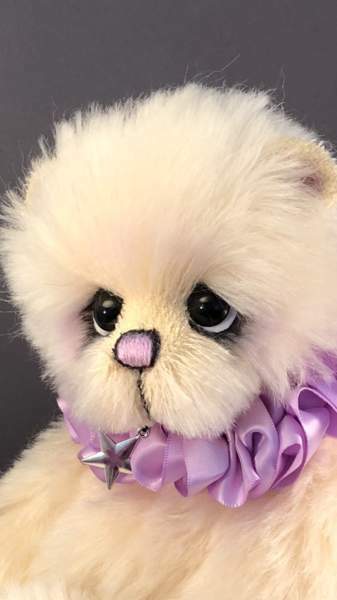 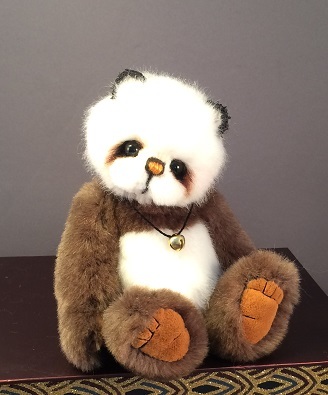 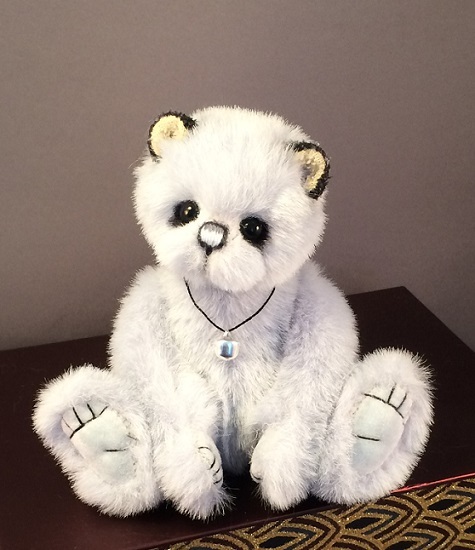 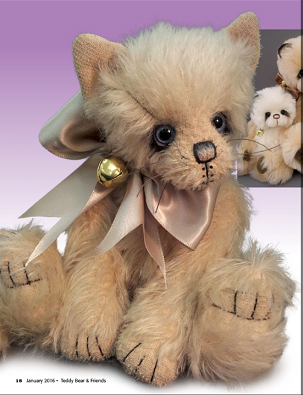 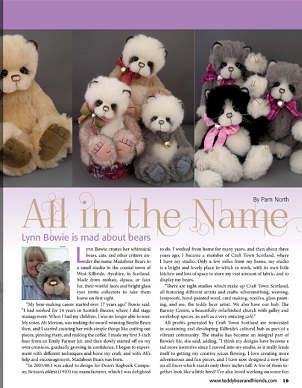 My name is Lynn Bowie and I have been creating my Madabout Bears for 18 years. 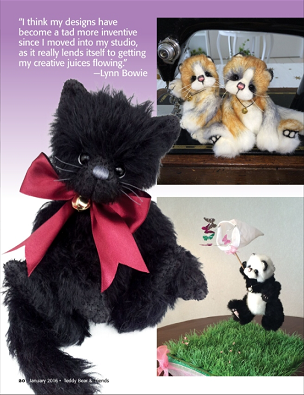 I have a wonderful light bright studio in West Kilbride on the south west coast of Scotland. 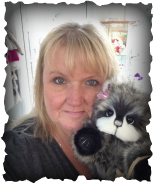 Please visit if you are in the area, just e-mail me first to make sure I will be there. 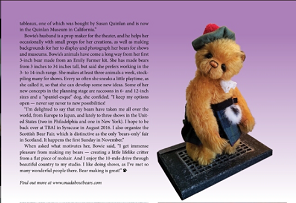 I was really pleased to have been featured in a recent edition of "Teddy Bear And Friends"